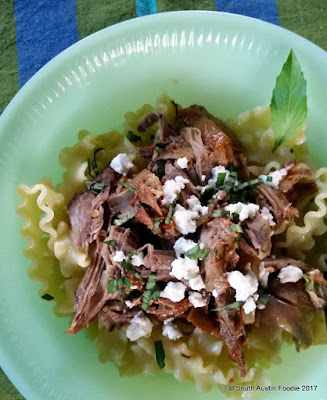 I am a relative newcomer to crock pot/slow cooker cooking. My mother didn't use a cooker when I was growing up, and it's only been in the last 5 - 7 years that I bought myself one. But I definitely appreciate the time advantages to using one, and actually now I have two: a big six quart one and a baby two quart. They are both REAL handy! 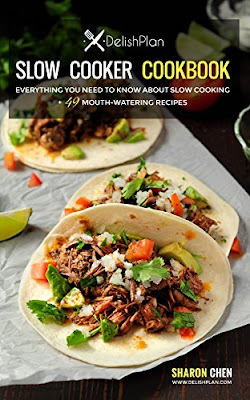 My friend Sharon Chen of Delish Plan has written a slow cooker cookbook. 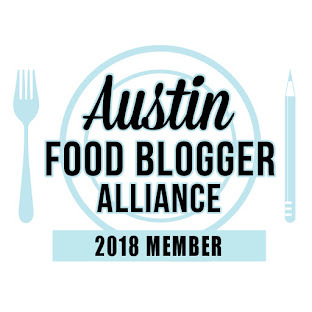 Disclosure, she was offering some advance e-copies at a discount to members of our food blogger group (Austin Food Bloggers Alliance) for critique and to review on Amazon, which I provided. I was not monetarily compensated otherwise, and all opinions are my own. This link here will take you to her web page for the cookbook; or click here to go directly to Amazon to purchase either an e-book or paperback copy. 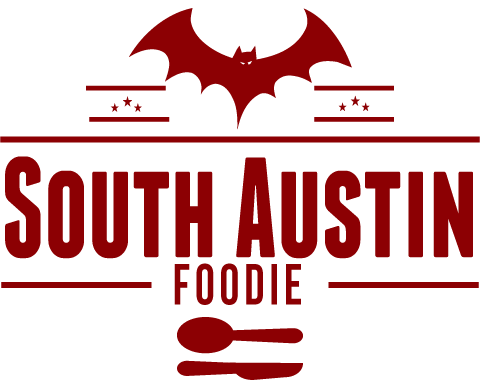 There are a lot of creative recipes from meats to vegetarian dishes to dessert. And one of the beautiful things about using a slow cooker, it doesn't heat up your entire kitchen the way an oven does in the Texas summer! But back to pulled pork! 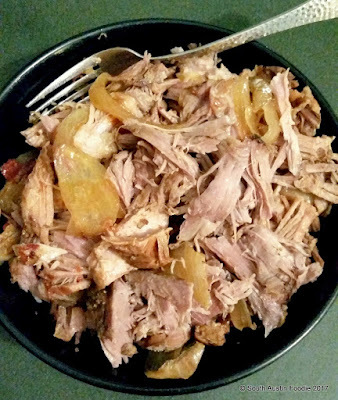 I bought a small pork shoulder from Whole Foods, that was about a pound and a half; I decided to make half the recipe and use my smaller cooker. While Sharon advocates for using plastic liners for ease of clean up, I don't care to cook in plastic, so I sprayed the cooker well with non-stick spray. 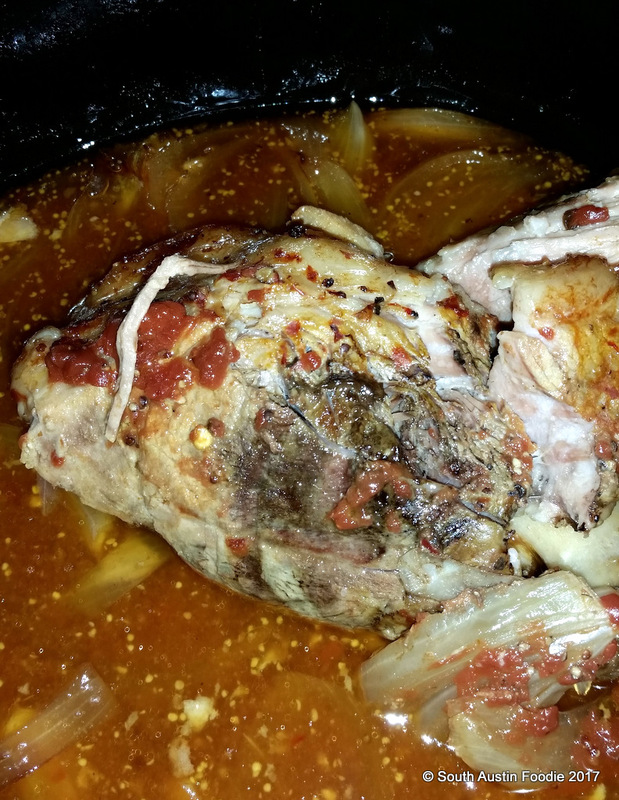 An onion, the meat, and a mixture of ketchup, hard cider (I used Crabbie's, which is more of an alcoholic ginger beer than hard apple cider, but the flavors lent well), Dijon mustard, brown sugar, salt + pepper, bay leaf, and chile garlic paste all went in the pot. I cranked the heat all the way to low and let it work it's magic overnight. My house smelled good in the morning! Here's what it all looked like still in the pot. And below, with minimal shredding, you can see how the meat just fell off the bone. One thing I did though was to reduce the remaining liquid from the pot; I poured it all into a skillet and let it simmer for about 20 minutes. It reduced somewhat, but definitely thickened. One night for dinner, I made some polenta and brussels and had an easy meal, adding some of the reduced juices. 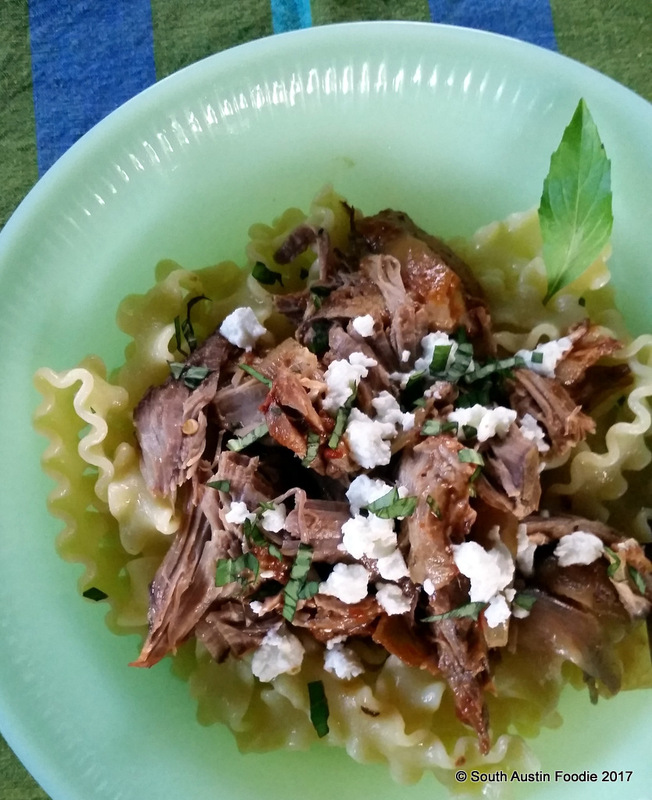 And this was my favorite, the pulled pork with a great pasta, goat cheese, fresh basil and some of that reduction. 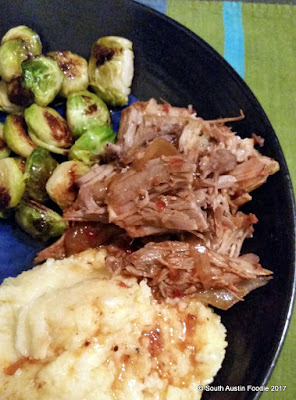 Without a doubt, I would make this pulled pork recipe again! In addition to what I made, there's so much you can do with the pork, like make tacos or pulled pork sandwiches. Easy and versatile. I can happily recommend Delish Plan's cookbook!